Big news coming from the template front: our partner conexco recently made their Shopware Bootstrap Theme available for free in the Community Store and as an open source project on GitHub. Until now, the theme was available as a commercial version. In our interview with conexco CEO Josua Seiler, you can learn about the reasons behind going open source, who the Bootstrap Theme is most suitable for, and how you can get started working with it. Josua Seiler is the founder and CEO of conexco; an eCommerce agency with seven-years’ experience focusing on Shopware projects. With locations in Munich and Berlin, the agency focuses on B2C retail and transaction-oriented brands who want to establish or expand their direct sales. Josua has been working with web technologies for 20 years, mainly in the frontend area, and has been strengthening digital shopping experiences for 15 years. Josua, tell us a bit about the Bootstrap Theme. The Bootstrap Theme can be seen as a layer between Shopware and the "Frontend Framework" Bootstrap 3 and combines the advantages of both worlds. It is fully compatible with the current Shopware core and all of the Premium Plugins. What’s particularly noteworthy is that the theme is now open source. However, you shouldn't make the mistake of taking the Bootstrap Theme as a theme that’s ready to go out of the box – it’s a theme that needs to be configured via the Theme Manager in the Shopware backend. You should really see it as a platform where you can quickly create and maintain an individual theme. How long has the Bootstrap Theme been around? We originally developed the Bootstrap Theme back in 2014 as a solution for a responsive basis for Shopware 4. After the release, a good amount of shops turned to this theme as the basis for their storefront, so we found it worthwhile to steadily release improvements. This is reflected in the numerous commits, tickets and released versions. Which theme does it “replace”? Speaking in terms of the Shopware theme hierarchy, the Bootstrap Theme replaces the Shopware Responsive Theme – but saying this might give the wrong impression. I would rather use the term “alternative” here than “replacement”. Can you reference some shops that already use the Bootstrap Theme? The theme has already been licensed several thousand times. 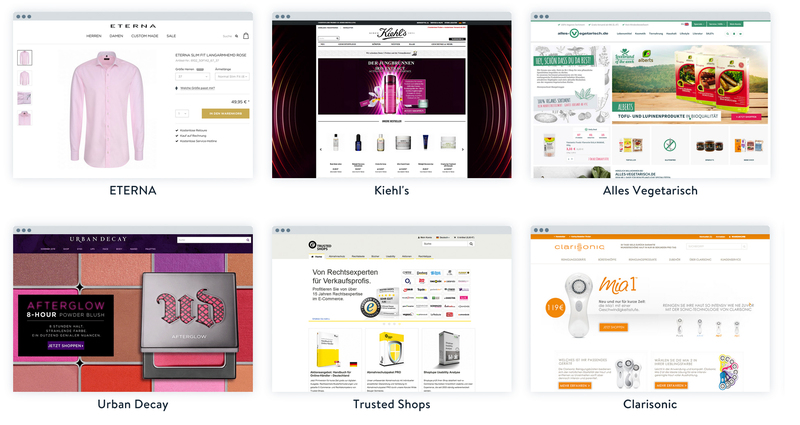 Determining the exact number of active shops that use the theme is a bit more difficult, but we noticed that with the release of Shopware 5, there somewhat of a shift and now the theme is mainly used by agencies and their developers as a basis for creating individual themes. We attribute this to the fact that Shopware's Responsive Theme is an appealing alternative for retailers and project requirements are of course different nowadays. Some projects we know of that use the Bootstrap Theme include Veggie-Shop24, YT Bikes, VFB Stuttgart, Strenesse, ETERNA and L'Oréal for their brands shops Urban Decay, Clarisonic and Kiehl’s. Who is the Bootstrap Theme most suitable for? With this project, we’re focusing entirely on the Shopware developer community. Our goal is to provide theme developers with a basis that is well-established and includes thorough documentation so that they have the flexibility to either implement themes for individual customers or create themes to sell in the Community Store. Basically, when choosing the right theme basis, you always have to consider the intended purpose of application. For example, if a retailer with a smaller budget wants to quickly set up a chic online shop, I would recommend using the Responsive Theme that comes standard with Shopware, because with just a few clicks – and minor development experience – it can be configured to create a presentable webshop. On the other hand, there are a large number of projects that require an individual theme be developed that fits a brand’s specific corporate design. As we’ve seen in our daily work, the Bootstrap Theme will give you much more flexibility when implementing this unique theme, helping you achieve your project goals much faster. The reason is that during the development of the Shopware Responsive Theme, the main focus was on developing a visually appealing "standard theme" that was optimised for different devices. While this was accomplished, it also brings a footprint. For individual themes based on the Responsive Theme, this preparatory work often has to be removed or "bent over" in order to meet the requirements. Will there be any ready-made themes based on the Bootstrap Theme in the future? Yes – we are already working on the first themes and are planning to release them in early 2018. Anyone familiar with our previous work can feel confident they have something big to look forward to. Let’s talk about maintenance – will the Bootstrap Theme remain compatible? Due to Shopware’s theme logic, it is possible to leave the Bootstrap Theme unchanged and transfer adjustments completely independently to a child theme (which is actually recommended for a variety of other reasons). This means you can continue to benefit from updates, which will be made available on a regular basis. The Bootstrap Theme is now open source. How will you integrate feature wishes from the community? As already mentioned, we are interested in promoting the development of high-quality Shopware themes. The decision to make the Bootstrap Theme open source allows us to pursue this goal with even more conviction. The community is able to give feedback via GitHub at any time and can have a direct influence in the future development of the theme. What’s coming up next for the Bootstrap Theme? We are planning on updating the theme from Bootstrap 3 to 4, and a beta version of Bootstrap 4 is currently available for testing. The components used in the project are also subject to regular review and there are already some ideas for improvements, such as the exchange of shop menus.